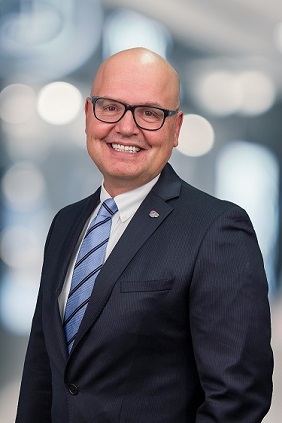 A successful entrepreneur and business executive, champion fundraiser, and dedicated public servant, Rocco Rossi joins the Ontario Chamber of Commerce in 2018 as President and CEO. Coming from his role as President and CEO of Prostate Cancer Canada and earlier as the CEO of the Heart and Stroke Foundation – one of Canada’s largest non-profit organizations – Rossi has overseen consecutive years of record fundraising combining for over $600 million in total and launching many new, life-saving initiatives. His passion for public policy has led him to stand for election both for the position of Mayor of Toronto and for MPP. Mr. Rossi has held senior positions at the Boston Consulting Group, TORSTAR, Labatt/Interbrew and MGI Software. He is a graduate of McGill and Princeton. Rossi currently serves as a member of the Board and Audit Committee of TerraVest Industries. A past board member of United Way of Greater Toronto and other charities, Mr. Rossi has been an active community builder. In fact, in 2012 he was awarded the Queen's Jubilee Medal for his Philanthropic and Community service. A dedicated adventurer, Rocco has walked the legendary Camino de Santiago several times, cycled the 1900 km length of Yonge Street from Rainy River to Toronto, kayaked the 500 km from Toronto to Ottawa, and climbed to Everest Base Camp. Mr. Rossi has a BA (Hons) in political science from McGill University and a Masters of Arts in politics from Princeton University. He is married to his wife of 30-years, Rhonnie, and they have a 28-year-old son, Domenic John, who is a teacher.